Opera Software’s lightweight mobile browser Opera Mini continues to enjoy significant growth across the world, posting an 83% increase in usage over the past year to account for more than 140 million users in October, the company’s new State of the Mobile Web report reveals. Opera’s new figures now highlight that the Opera Mini browser has not only replaced the desktop browser for many, it has become so popular that for the first time since its release, 22 countries now have at least 1 million people actively using the browser every month – half of which passed the milestone in 2011. 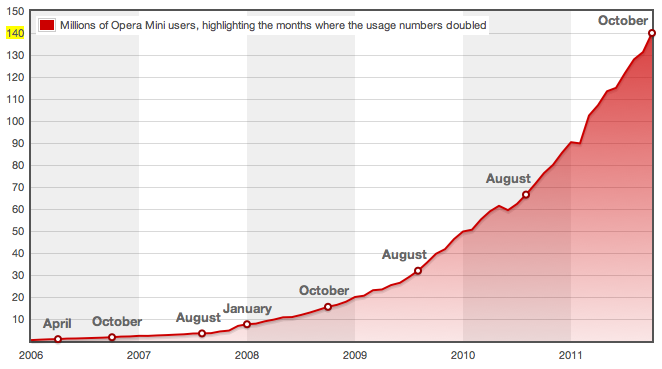 Impressive when you consider that since its launch in 2006, Opera Mini has doubled its userbase a total of 8 times, with October’s increase marking the eighth time its users have doubled. 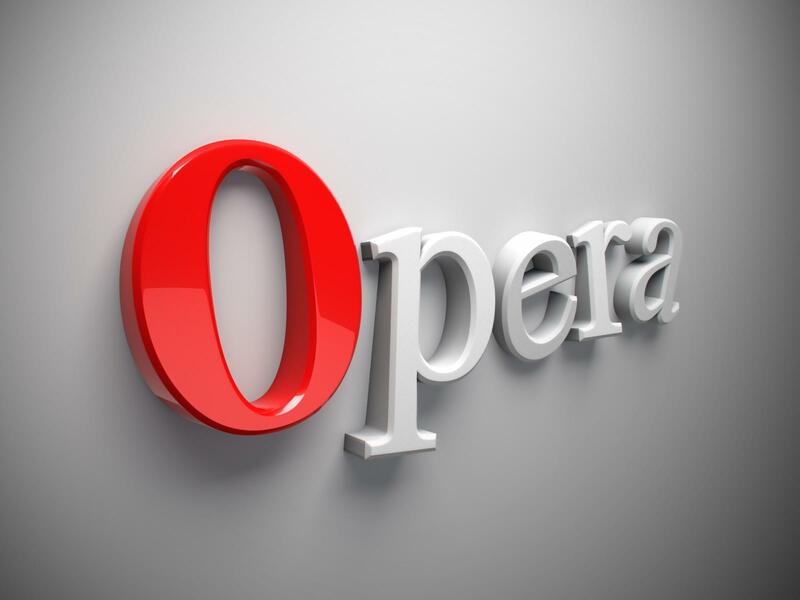 In April, Opera announced that its Mini browser had reached 100 million monthly users and two billion daily pageviews – making it the world’s most popular mobile browser. The free browser, which supports 96 languages and huge range of different smartphone and feature-phones including Android, Symbian/S60, BlackBerry and iPhone, reached the milestone in its own right, two months after the Opera Software announced the same figure for its Mini and Mobile browser releases combined. Last month, Opera Mini users loaded a whopping 86 billion pages, more than doubling year-on-year and accounting for 13 petabytes of data. However, with Opera’s compression technology cutting down the average pagesize by up to 90%, that data was crunched down to 1,335 terabytes.